Adding value at every turn through the expertise of our partners and highly-trained staff. 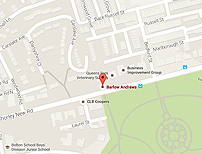 Barlow Andrews has been part of the local community in Lancashire and the North West for over 90 years. Acting as personal advisors to many owner-managed and family businesses in the area, from self-employed and start-ups through to limited companies and charities. Our constant investment in staff becomes a valuable investment in our clients future. Barlow Andrews has been at the heart of the local community in Lancashire and the North West for some 90 years. As Chartered Accountants, we act as advisors to many owner-managed and family businesses in the area, from self-employed individuals and start-ups through to partnerships, professional practices, limited companies and charities. We can help you to create, retain and realise wealth, adding value at every turn through the expertise of our nine partners and highly-trained staff. 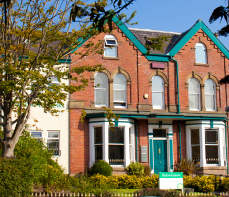 From our offices in Bolton and Darwen, we have built close relationships with local banks, solicitors and other professionals, allowing us to address client issues in a seamless and professional way. As a long-established chartered accountancy practice, we not only prepare accounts, conduct audits and assist clients with corporate and personal tax, but we offer a wide range of other services too. Clients turn to us for everything from bookkeeping, payroll and VAT returns through to tax planning, business planning and profit and cashflow forecasting. We can handle company secretarial work, support litigation and even help your business to prepare for succession if you are planning on retiring or selling. Please click here for the new tax rates for 2019/2020. I am delighted to announce that Ezmi passed her law exam yesterday and is now a qualified tax technician. Jess has passed her 2nd paper (Law) at the ACA Certificate Level. Congratulations Jess. Keep up the good work.